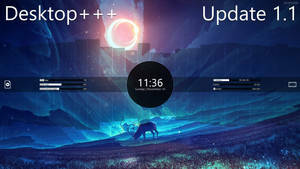 This is a modified take on the Rainmeter Suite that Tatenokai created. It has been modified for 1920x1080 resolution at 125% scaling for those of us with tired eyes. Much of the code has been rewritten and updated within the skins to rid of deprecation and add updated options. Wallpaper is included here fav.me/dd2054m. 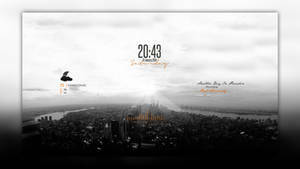 All the credit goes to Tatenokai for creating what is by far my favorite desktop theme. 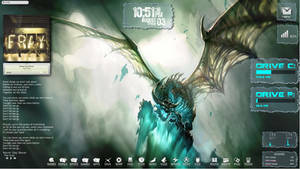 Without these fine folks sharing wonderful skins, posting my first Rainmeter Skin Suite would not be possible. 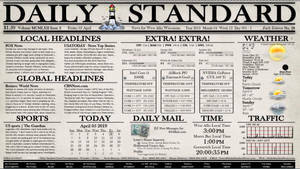 (Located Between "Daily News") and Enter Variables. Looks great and generally functions well! *Note: Followed instructions to left-click on the red icon and hit save after each. Checked in UserVariables.inc and values are being set there. Also rechecked left-click of red icon and values are there. 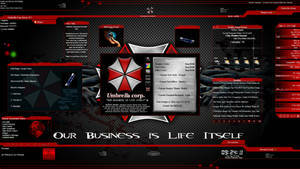 Refreshed from main Rainmeter admin panel. 1. Time stays in 24H mode even if setting is changed to "I"
[Note I looked into Time.ini and while it does load UserVariables.inc, it doesn't seem to have code to interpret the value of "H" vs "I" as #Time# is not looked at. 3. Gmail stays as "Loading...". Hello Marclindsey....sorry to hear your having problems. Haven't heard of anyone else, but perhaps I may have a way to "jumpstart" into working. If you open up the Gazette\Gazette Skins folder and see the variables.inc file...open that up with notepad (or whatever text editor you use), backspace out the I, type in H, then backspace out the H and retype I without any quotes. Also, your username should not include @gmail.com, just everything that comes before the @gmail.com. Then save the file, do a full Rainmeter refresh through the right click menu on Rainmeter using the taskbar, then reboot your computer. Also, could you explain the Recycle Bin malformed? Thank you! 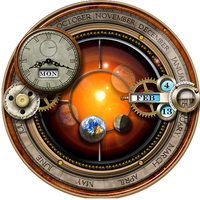 I and H still don't affect the time display when changed in userVariables.inc and refreshed in Rainmeter's app (full refresh). So I just hand coded it in the time.ini and it's fine. I still cannot get the network folder M: to show sizing (does work in Medieval), and for the recycle bin it shows (without quotes) "0b RECYCLE" and there's some unreadable text over the RECYCLE wording as well. Thanks for the email tip; worked! So I'm not sure about that one! 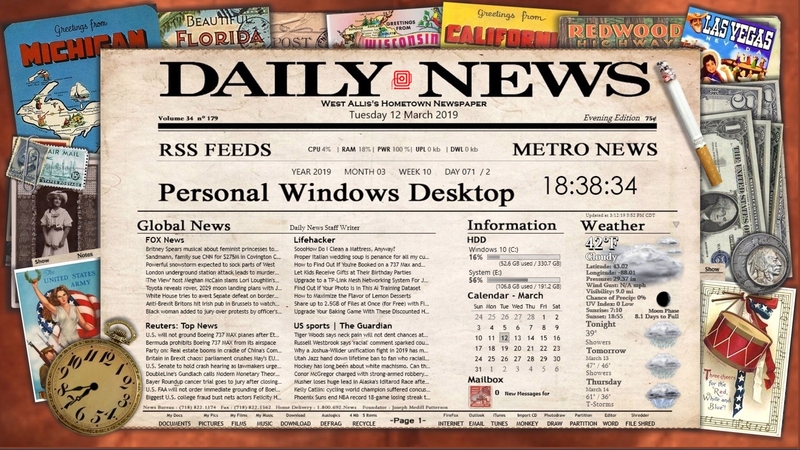 The Recylce Launcher for me looks exactly like the desktop screenshot posted. You may want to try the AccurateText setting in [Rainmeter] section in the ini file and set to 0 (Turn Off). If that doesn't work reset AccurateText=1 and try the [MeasureBinItems] in the ini file and adjust the X= & Y=r setting. Remember on the Y setting you may need a negative number. This may assist in aligning the text for you. Hope this works for you! Thank you for the kind comment desertedcat! 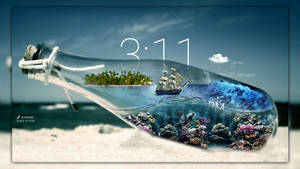 The link to the wallpaper has now been added. Very good! Wallpaper where? Thank.